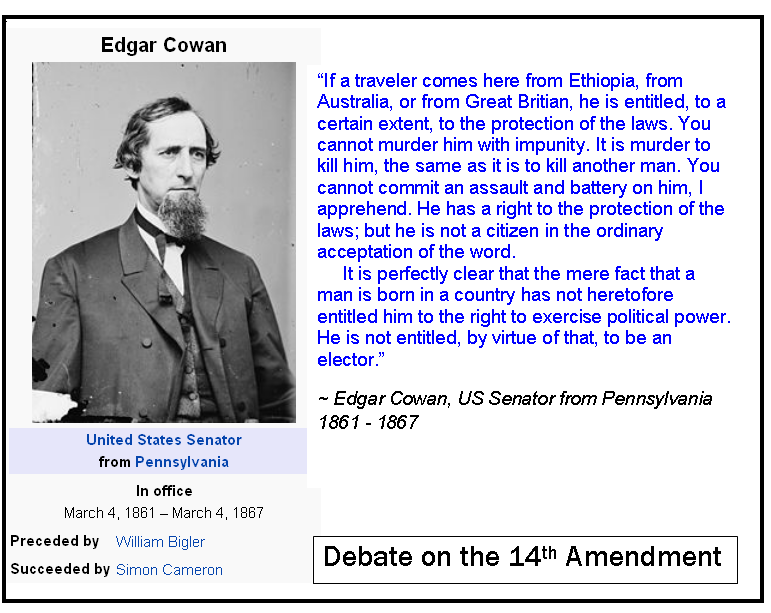 There is a lot of banter back & forth concerning the 14th Amendment and it’s intent. I will now share with you folks the TRUTH about it. 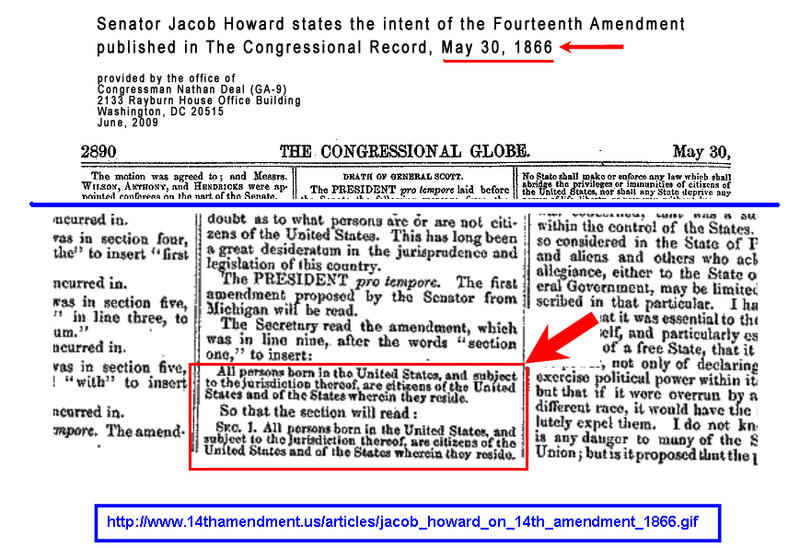 1st off, the 14th Amendment was not legally ratified. — WHAT???? I hear you say. What do you mean Silence? OK follow me now — The 14th was ‘Allegedly Ratified’ on July 9, 1868. In July of 1868, there were 37 states in the union. 3/4ths of the states were required to LEGALLY RATIFY any amendment. That means 28 States must pass the resolution. Only 21 did so legally. Ten of the Southern States REFUSED to ratify it. Six of the Northern, and other States failed to ratify it via their legislatures. 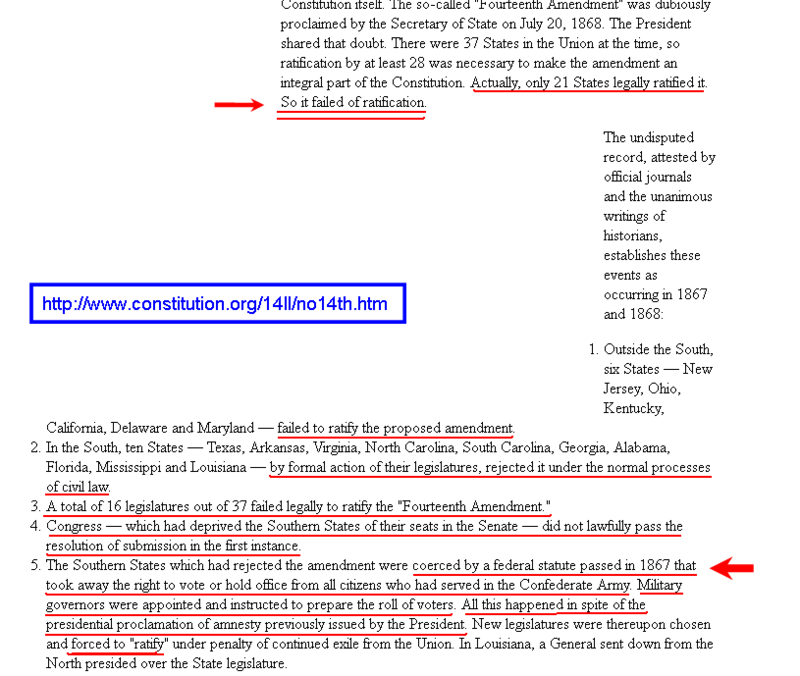 37 minus 16 gives us 21 — Twenty One states that ratified the 14th Amendment. Therefore the Amendment FAILED Ratification! OK, so we’ve determined that the 14th doesn’t hold any LEGAL Water. But, for sake of argument, let us pretend that it DOES. Now, I want you to forget all that you’ve heard from the Lawyers, & the Talking Heads, & Pundits, and whatnot. I want you to read for yourself and THINK — Comprehend what you’re reading. Now I want to focus on WHO EXACTLY is Subject to the Jurisdiction of the US. 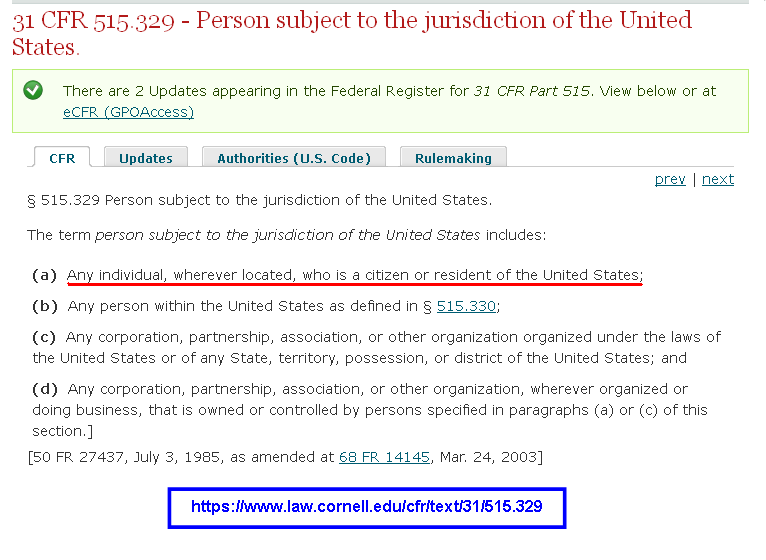 Citizens and LEGAL RESIDENTS of the US are Subject to the US’s jurisdiction. The ONLY place that you will find where an Official Document states otherwise, is the Code of Federal Regulations, part 31 section 515. 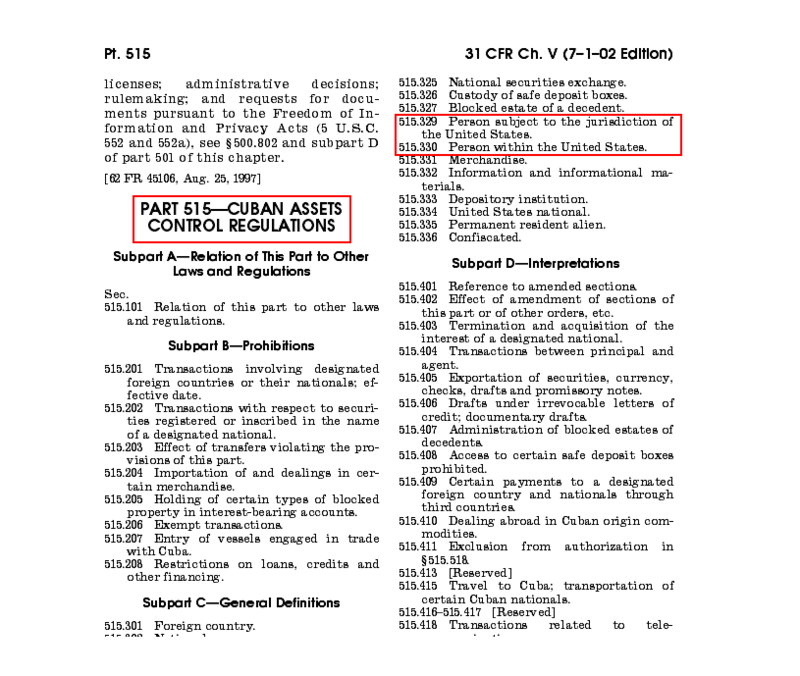 And that section is referring to CUBA and our sanctions against it. 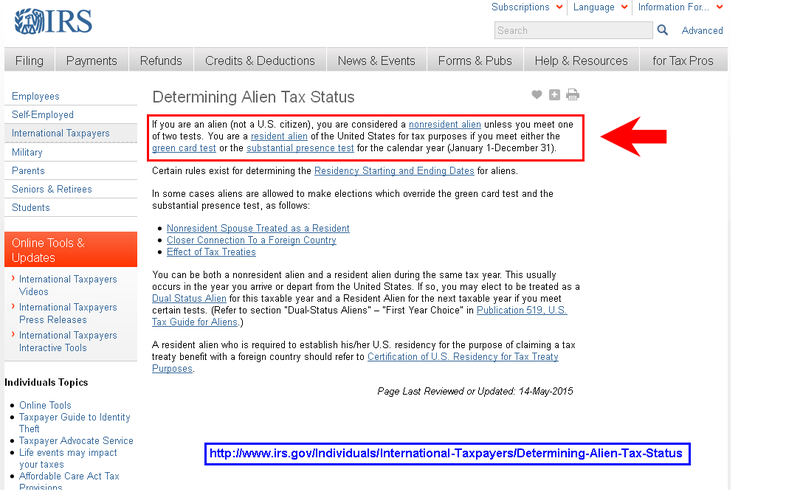 Even the IRS Website states the definition of Illegal Aliens — They are ‘Nonresident Aliens’. 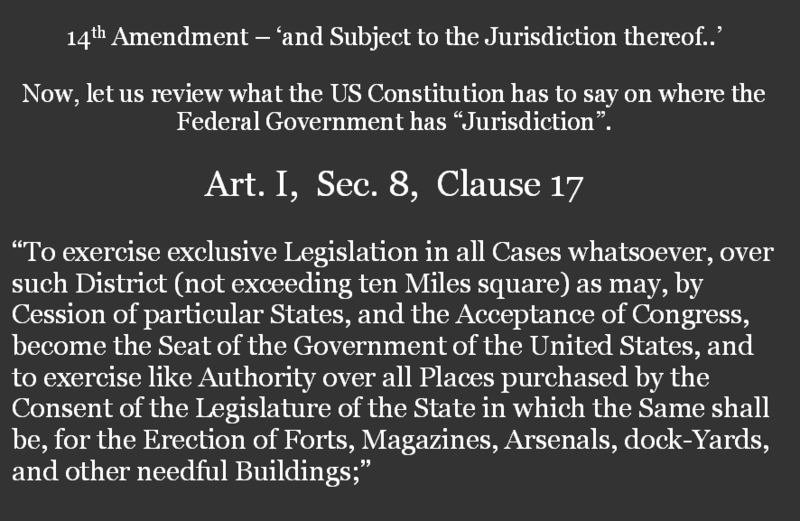 And finally, I want you to notice what the US Constitution has to say about WHERE the US has Jurisdiction. So, even if you want to consider the 14th Amendment still in place & ‘ACTIVE’ — It does NOT confer US Citizenship to someone who is here Illegally. ONLY to Citizens AND LEGAL Residents. Respectfully submitted by SilenceDogood2010 this Twenty First Day of August in the Year of our Lord, Two Thousand and Fifteen.